How Old Does a Child Have to Be If He Wants to Change His Last Name? Generally speaking, a child must get permission from his parents to change his first or last name. The particulars of changing a name vary by state, but parental approval is the typical standard. 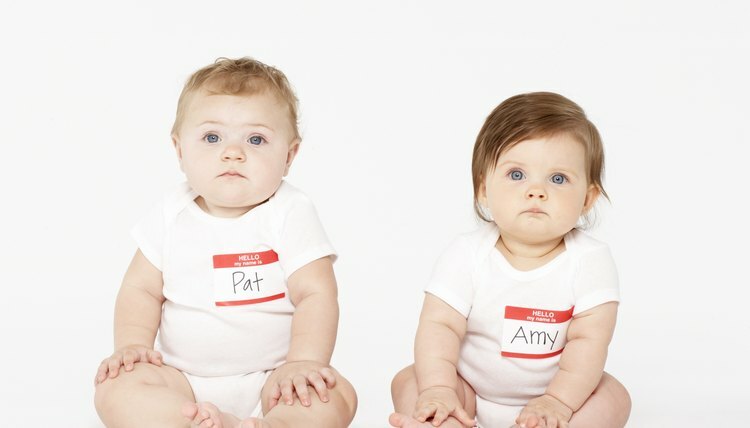 If a child cannot convince his parents that a new name is a good idea, he generally will have to wait until he is 18 years old to change his given name. In most states, you can change your name three ways. The simplest method is to use the new name exclusively. You also have the opportunity to change your name as part of marriage, divorce or adoption proceedings. In such cases, a court formally approves the name change. Another common way to change your name legally is to submit an application to the court for an order officially changing your name. If you meet the criteria, the court grants the application and formally approves the name change. Not all of these methods are available in every state, and laws vary considerably. In most states, an adult can change his name simply by using a new name exclusively. The advantage of this method is that you do not have to fill out any forms or go to court. However, this type of name change is of only limited use. Eventually, you must go to court, or to other government office within your jurisdiction, to have your new name formally recognized. While children, particularly as they get older, are often able to convince people to call them by a particular name or nickname, the law does not recognize the change until they become an adult and change it officially. A child may be given a new name when he is adopted, though it is usually one that the adoptive parent chooses. It also is possible for a child, with one of his parent's help, to change his last name after a divorce or re-marriage. For a young child, both parents typically must consent to a new last name when the family situation changes. A court is much more likely to consider and grant the wishes of a teenager in this situation. In either case, if there are unusual circumstances, such as abuse or abandonment, a court usually allows a child to change his last name with the consent of only one parent. Most states have a fairly simple process for adults to apply to court for name change. Courts ordinarily grant name changes, unless it appears that the adult is trying to evade creditors, commit fraud or otherwise interfere with the rights of another person. Children may use the same process, but a parent needs to file the application. If only one parent makes the application, the applicant typically needs to notify the other parent. Even though the law requires notification, a child does not always have to obtain the consent of both parents or a legal guardian. In Virginia, for example, the court may grant a name change, even over one parent's objection, if it finds that the name change is in the best interests of the minor. Most states have a similar standard. University of Illinois at Urbana-Champagne: Want to Change Your Name? Changing a child's last name is often done as part of another matter, such as a paternity or adoption proceeding. However, you can file an independent proceeding to change your child's last name. A judge will have to determine that the name change is in the best interests of the child. Changing a child's name is subject to individual state laws. The process varies from state to state, but it is generally similar. New York law allows any resident of the state to change her name for any reason other than to defraud people. Women can make a name change official by using the New York marriage license application, in situations where the change is part of the marriage process, or by filing a name change petition with a civil court in a New York district.